This DVD introduces you to the best birdwatching sites in Finland and Norway, north of the Arctic Circle, and gives you a real ‘feel’ for what it’s like to go there. 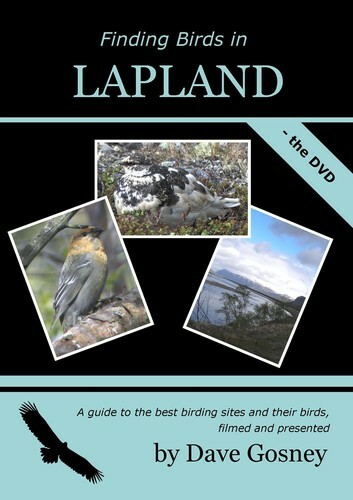 The best sites - covers the best birding sites around Varanger fjord, Batsfjord, Karigasniemi, Kiilopaa etc. The best birds - features beautiful close-up footage of many of the most sought-after birds in Scandinavia, all filmed using high-definition digital video cameras. This film shows exactly what it’s like to visit Arctic Scandinavia in June. You’ll see footage of the most exciting species, you’ll get an idea of what each of the sites is like and you’ll learn more about the area and its birds.